Boston Dynamics eh? Boston, home of MIT, et al. My client wants me to prepare her for an undergraduate interview (in English only) in Global Business. The future i.e. robotics will be the core of my coaching (h/t Fintan). I've given her The Lights in The Tunnel. Poor chump; it's over her head. I warn her that she'd better 'man up' or be 'softwared'. I think she gets that bit. We truly live in *the* most interesting of times. The Problem: "A World Too Complex To Manage"
about to build e-organisms out of e-mechanisms. Will Bot field intelligence close the Complexity Gap? "We are seeing technology-driven networks replacing bureacratically-driven hierarchies," says VC and futurist Fred Wilson, speaking on what to expect in the next ten years. I have late teenage clients who want to become doctors: I shall urge them onto the path of cybernetics and bionics. It's the future. My God; the future sounds so past! Fintan, thanks for the Traktor endorsement. Another cool DJ/music production platform is Ableton Live. I'm not Able (ton) to afford it right now but, I'm sure there's a cracked version out here in this cyber wilderness. 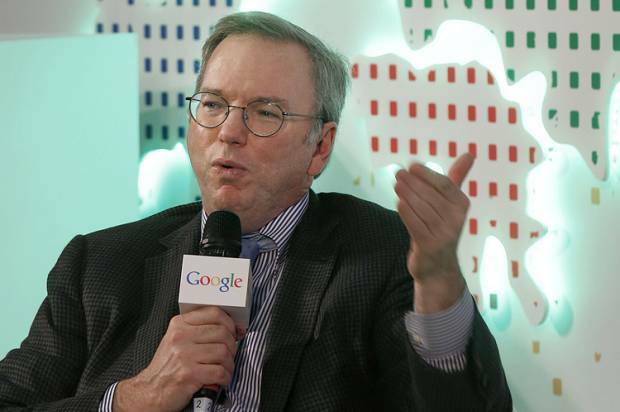 Google Chairman Eric Schmidt said his company is experimenting with automation in ways that will "replace a lot of the repetitive behaviour in our lives." make recommendations. That's possible with today's technology." Above is the usual merry spin on technological disruption. And there is a lot to be merry about. Apart from the jobs problem. However, Big Eric - Mr. Google is now officially worried! technologies will be the No. 1 problem for government in the future. His solutions: more education, immigration, connectivity to the internet. the problems caused by more technology. on board with the concerns about the impact of robots/technology. But, income inequality and a jobs crisis are here already, Eric. take a very long time for society to catch up with all the changes. And that's the best you can do Eric? now coming down the tracks at speed. And teach 'em perseverance is the best you can do? Can you speak Wolfram? No need. for extracting and displaying information. 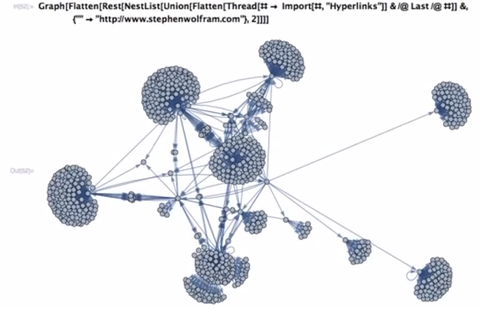 Wolfram's are being built into knowledge engines of the future. A future which arrives within five years from now. programming language powering those two pieces of software. the Economist itself doesn't quite get it. the early stages of each new wave, and it is up to governments to spread them. needed before their people get angry. Wasn't Occupy : "the threat of revolution" ? The greatest dislocation in human history is oncoming. The Economist decides to attack minimum wages. lol. And offers "creative education" for non-existent jobs. I wonder what the Economist considers a "reasonable income" for Bankers. I wonder what the Economist considers a "reasonable income" for TechSerfs. i find it amusing that these guys think that what they think is "The Way"
but when the economic crash comes what then? 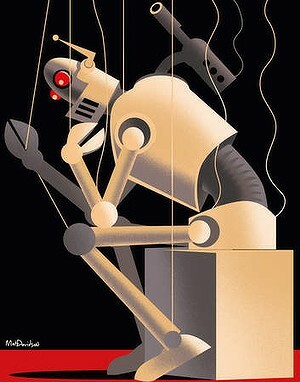 what they don't seem to know or understand is " The Alternative Way"
can he be replaced by robots?